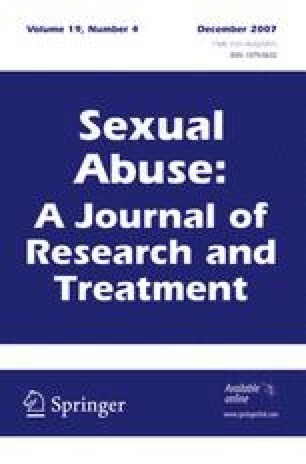 A retrospective review of 4381 heterosexual and homosexual pedophiles treated in a community-based program produced preliminary evidence of factors associated with success or failure in treatment. Records of these offenders revealed a number of factors of importance in predicting treatment outcome, including victim and offender characteristics, offending behavior characteristics, and penile plethysmographic findings of deviant and normal sexual arousal. Results indicated that success in treatment was often associated with a minimum number of victims, familiarity and cohabitation with victims, an absence of force or threats employed in the crimes, admission of some responsibility for the offending incidents, and a stable history of employment and relationships with others. Plethysmograph findings confirmed the general impression that low pre-treatment deviant arousal was correlated with improvement. Surprisingly, duration and frequency of offending behaviors were not consistent predictors of treatment response. Limitations of the present study are noted and caution is advised in accepting these findings until corroborated by controlled research.